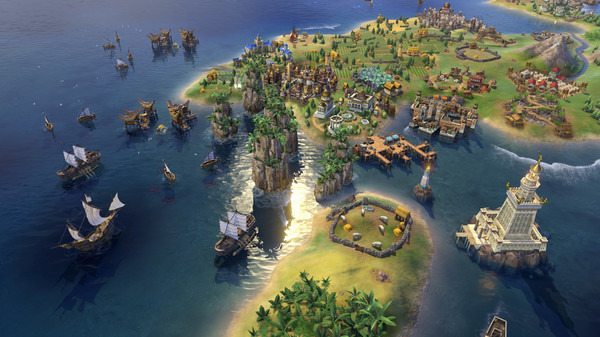 Aspyr has shipped the 'Fall 2017' update to "Civilization VI" for macOS, bringing both a free update to the port of the Fixaris game alongside new premium downloadable content: the Khmer and Indonesia Civilization and Scenario Pack. The fall update includes a major overhaul to the way the game handles religion, fleshing it out with new religious units, two Pantheons, and Founder, Follower, Enhancer, and Worship beliefs. These new beliefs can be used to produce two new buildings and the Warrior Monk combat unit, while the Religion Lens has been updated with improved usability and readability. Outside of the Religion section of the game, the AI has been tuned to improve its naval gameplay, prevent AI players from committing to battles it cannot win, and improved its city and district placement decisions. Game balance changes, stability improvements to multiplayer, and assorted UI improvements are also included in the update. The Khmer and Indonesia DLC brings the two civilizations to the game, led respectively by Jayavarman VII and Dyah Gitarja, with each introducing new abilities and units for players to use. The Khmer civilization has the Grand Barays ability that provides more food when farms are built near Aqueducts, the Monasteries of the King ability that enables the acquisition of adjacent territories, the strong Domrey elephant-mounted ballista unit, and the Prasat unique building. Indonesia has the Great Nusantara ability, providing minor adjacency bonuses for certain districts if they are adjacent to coastal tiles, along with the leader's Exhalted Goddess of the Three Worlds ability to gain bonus faith to coastal cities and to purchase Naval units with Faith at a discount. The Kampung improvement offers housing, production, and food for nearby fishing boats, and the unique Jong unit replaces the Frigate as a faster and more powerful vessel. 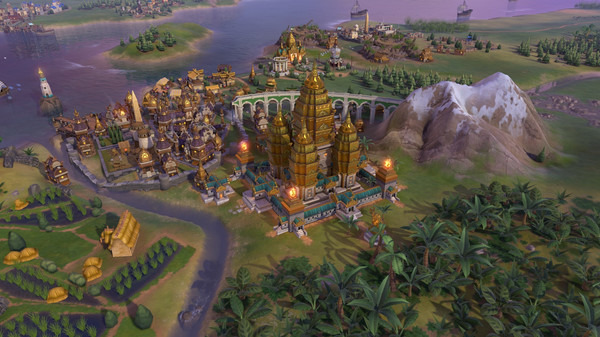 The DLC also includes the Ha Long Bay natural wonder, Angkor Wat as a new wonder, and a new Path to Nirvana scenario where players compete on the new Southeast Asia map to gain the most followers for their religion. The Khmer and Indonesia DLC is available for $8.99 on Steam and as an in-app purchase through the Mac App Store version, but is included for those who own the Digital Deluxe version of "Civilization VI." Mac Gamer HQ has compiled an extensive list of games that support Metal, Apple's own graphics API. The list covers both games that currently use the API as well as those that have pledged support for Metal in the future, as well as advising on how well critics received each game, and warning of how powerful the Mac hardware needs to be to run the game at all. Originally introduced as a feature within iOS 8, Metal arrived on Mac in 2015's WWDC as a core-level graphics technology that boasted highly efficient processing using the GPU that was 50 percent faster in rendering compared to other technologies. Like iOS, developers can stack on apps on core animation and core graphics, with it also including built-in support for OpenGL and the OpenCL API. Metal 2, the next-generation of the graphics API introduced during WWDC 2017 and included in macOS 10.13 High Sierra, improved on the original by incorporating support for external GPUs connected over Thunderbolt 3. Mac Gamer HQ's list for supported titles includes both newer and older releases, with the more recent listings including "Dirt Rally," "Deus Ex: Mankind Divided," and "Bioshock Remastered." The highly popular "World of Warcraft" makes the list as the oldest game, gaining Metal support in 2016, 12 years after its original release. The list of games adding Metal support in the future is short, but promising, headed up with "Ark: Survival Evolved," alongside "X-Plane 11" and "Arma 3." Two other Blizzard games are on the list with "World of Warcraft," with Metal support added in beta for both "Starcraft 2" and "Heroes of the Storm" since January last year, but the company has yet to remove the beta tag from the feature.